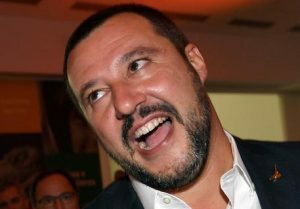 Salvini, who is eating too many pies, has announced over the last few days that he won’t take lessons from the EU, the UN, the Church, or the WTO. He is happy to sit down with the deeply unpleasant Viktor Orban, allied himself with Steve Bannon, had a cosy chat with Tony Blair and is matey with Sebastian Kurz. Salvini has decided that he is the government and the only voice worth listening to. It says a lot for the inexperience of the M5S that they let him get away with this – and Di Maio just make rather crap announcements that he has to retract after a couple of days. Here are the latest. No obligation for vaccination of children in school. Rethought after 2 days, and now obligatory. Shut shops on Sunday – now being rethunk to operate on a 1 in 4 rota. Salvini is flying high in the polls notwithstanding the fact that he has legal wrangles – the most recent being that he is under investigation for kidnap and holding people against their will – the immigrants aboard the Diciotto held in the port of Catania for days. He has accused the magistracy of being left wing and a politicial witch hunt and is proud to be investigated. Bigly. His second problem is the 40 million euros of public money the Lega has made disappear. It’s before his time, he says, but it isnt – as we are shortly to find out. More witch hunt and various insults – Im elected and the magistrates arent – is one of his pearls of untouchable wisdom. The M5S come out with a mealy mouthed ‘Dont insult the judiciary’. 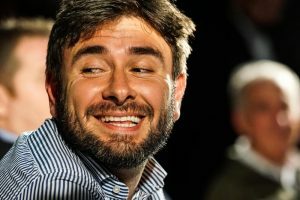 One M5S man – the abrasive Di Battista is taking no prisoners. He was the main contender against Di Maio for the top job, and failing to get it he became a dad and went round South America. Now he’s back – and as Di MAio will have to step down at the next elections, he is back in the running. Things could get interesting.